To ensure you can find a package which works best for you and your goals, our partnership prospectus includes a number of ready-made packages, as well as a list of specific sponsorship opportunities – from which you can select one, or many. Please contact Patricia Dalby to discuss these opportunities via email, patricia@riverfoundation.org.au or by calling 07 3002 9062. The Australian Department of Foreign Affairs and Trade (DFAT) is pleased to be a sponsor of the 20th International Riversymposium to be held in Brisbane. Across the Asia-Pacific region, Australia has been sharing its experience and technology in river and water management. DFAT supports the Sustainable Development Investment Portfolio in South Asia and the Greater Mekong Water Resources Program in the greater Mekong region. Since January 2017, Australian Prime Minister the Hon Malcolm Turnbull, has been a member of the High Level Panel on Water (HLPW) established by the United Nations Secretary General and the World Bank President to mobilise international action to achieve water and sanitation for all as set out In SDG 6. DFAT will report on the work of the HLPW at this year’s Riversymposium in Brisbane. In 2015, DFAT established the Australian Water Partnership (AWP) to improve access to Australian water management experience and expertise in both the public and private sectors for countries in the Asia-Pacific region. The AWP will also be conducting workshops at this year’s Riversymposium. UNSW is ranked number five in the world for water resources, and is globally renowned for its water research, consulting, education and technical advice. One of the leading water universities in the Asia-Pacific region, UNSW combines world class knowledge and expertise with outstanding facilities and infrastructure. The UNSW Global Water Institute (UNSW-GWI) pulls together UNSW’s water expertise into a single multi-disciplinary powerhouse of research and innovation, solving critical national and global water problems. 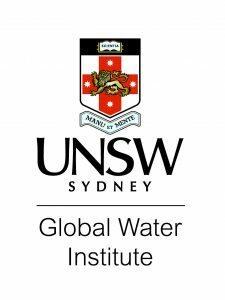 UNSW-GWI’s unique, integrated approach draws on water expertise from eight faculties and 14 specialist centres across the University. Comprised of 500 researchers, professional staff and PhD students, UNSW-GWI has strong existing links in the Indo-Pacific region and is focused on finding effective and sustainable solutions to the region’s most complex water issues. 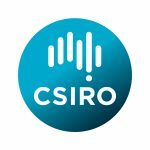 UNSW-GWI is especially well known for its expertise in water and wastewater management, water resource management and climate change, coastal and estuarine management, aquatic ecosystems and biodiversity, public health, social science, industry specialisations, and policy and governance. UNSW is also a proud partner in the PLuS Alliance, an exciting collaboration between UNSW, King’s College London and Arizona State University. Together, we have joined forces to help find research-led solutions to some of the most pressing global challenges. Brisbane is Australia’s River City, renowned for its subtropical climate and friendly relaxed lifestyle – all of which attract businesses, workers, students and tourists from across the world. 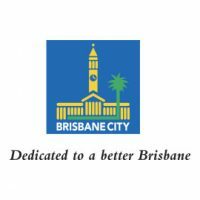 Brisbane City Council has the ambition to grow its New World City status and to become a globally connected, prosperous city with an enviable lifestyle quality. Already home to more than 1.2 million people, Brisbane is one of the fastest growing regions in Australia. To ensure Brisbane meets the needs of an increasing population and maintains resilience in a region prone to drought and floods, Brisbane City Council is embracing new technology and innovation to address the growing need for water, air and energy resources. Brisbane is the largest local government in Australia with 26 wards and spans over 1,350km2. Brisbane’s liveability is linked to its natural environment. The city’s approach to sustainable living resulted in it being named Australia’s Most Sustainable City in 2014 and 2016. Brisbane. Clean, Green, Sustainable 2017-2031 highlights the city’s key sustainability achievements and outlines future targets and commitments to drive it towards a cleaner, greener and more sustainable city. It is our pleasure to sponsor the Emerging Rivers Professional Award which is an opportunity to recognise tomorrows leaders in water management. OceanaGold is a multinational, mid-tier gold mining company with significant global operating, development and exploration experience and operating assets in the Philippines, New Zealand and the United States. Our vision is to be the gold mining company of choice, operating long-life, high-quality and high-margin assets, while delivering superior returns in a responsible manner. We produce gold, silver and copper, all metals that are essential to economic development and societal wellbeing – from renewable energy to life-saving medical devices and the communication and information technology that connects our communities. Our success is due to the dedication and efforts of our people. We have an unwavering focus on the health and safety of our people, the wellbeing of our local communities and an unrelenting commitment to uphold the highest standards in environmental and sustainability practices. From exploration through to operations and closure, we manage our environmental and social impacts across the life cycle of our assets, manage our impacts and, more broadly, contribute to our host communities and society. Our innovations contribute billions of dollars to the Australian economy every year. With more than 5,000 experts and a burning desire to get things done, we are a catalyst for innovation. The Australian Water Partnership is an Australian Government initiative. We make a difference by mobilising and connecting Australian water sector expertise to address demand in the Indo-Pacific to enhance sustainable water management. We share resources and lessons learned in extreme drought, climate change, and over three decades of water reform. 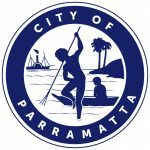 The Parramatta River Catchment Group (PRCG) is an alliance of councils, government agencies and community groups who are working together to improve the Parramatta River and the creeks that flow into it. Our ten-step Masterplan will help us achieve our mission to make the Parramatta River swimmable again by 2025. The Council of Mayors (SEQ) is Australia’s largest regional advocacy body, representing the interests of the ten councils and more than three million residents in South East Queensland. The Councils of Mayors (SEQ) leads a number of regional initiatives including Resilient Rivers, a coordinated approach to managing South East Queensland’s catchments. The Northern Australia Environmental Resources Portal brings together over a decade of environmental knowledge to help manage opportunities and expectations for the land and water resources of the north. Sydney Water is Australia’s largest water services provider. Every day, we proudly protect the health of our community by providing safe and high quality drinking water, removing wastewater and preserving our rivers and beaches for almost five million people and businesses across Sydney, the Blue Mountains and the Illawarra. Water Technology is an employee owned organisation focused on the needs of our clients and the community. We live and breathe the challenges of land and water management. Our capabilities encompass all aspects of surface and groundwater within the natural and built environment, including comprehensive coastal engineering and environmental services. The University of Adelaide is among the world’s top 1% of universities. The Fitzroy Partnership for River Health is a collective of government, agriculture, resources, industry, research and community interests across the Fitzroy Basin in central Queensland. Partners have a common goal of providing a more complete picture on river health and support this goal by providing funding, resources and contributing water quality and ecosystem health monitoring data. The Fitzroy Partnership also helps external clients with online environmental report card solutions through the Enviroscore Online offering and facilitates the National Waterway Report Card Network.